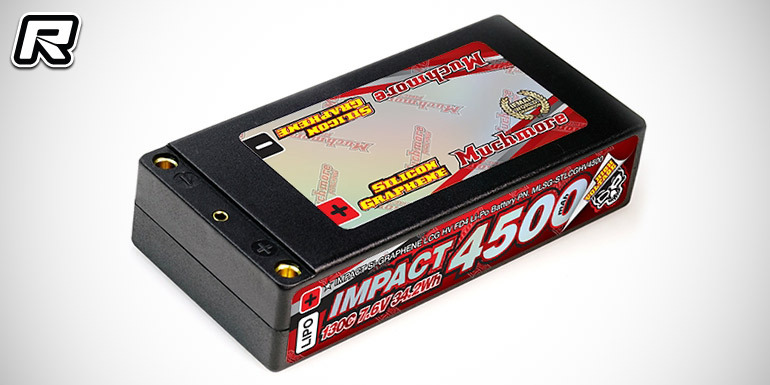 Muchmore have introduced their new Impact Silicon Graphene LCG FD4 LiHV shorty battery packs. Both sport dimensions of 95.8×46.8×22.5mm with the higher capacity 4500mAh variant weighing in at 192g while the smaller 3800mAh pack weighs in at 182g. Both are made of high-quality 130C cells and they are ideal for both on-road and off-road applications alike.